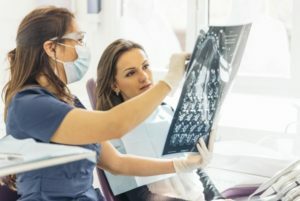 Yes, of course it’s important that you don’t skip dental visits with us because – well – they’re essential for your smile. Avoid preventive care and you are more likely to end up with a cavity. Avoid restorative care and chances are good that the problem will become worse (and the treatment you will need will become more expensive and time-consuming). Beyond the obvious, we would like you to consider a few additional reasons to make an appointment and keep it! Chances are good that someone at our practice skipped a dental visit at some point in his or her life. While we would certainly never do such as thing now – you need to recognize that we are real people, too, who completely understand your hesitation, anxiety, or other reasons for feeling unsure about coming in. As a result, you can expect great empathy and compassion from our team. About that empathy we just mentioned – the goal is not to simply get the job done (or to get it done quickly). The goal is to help you enjoy a healthy smile, to help you feel positive and confident about your dental care, and to ensure you feel relaxed and comfortable during any type of visit, from prevention or restorations to cosmetic care. Don’t skip your visit – it will be more relaxing than you might think possible. Particularly if something is wrong with your oral health, you may find that the longer you avoid coming in for a dental visit, the more anxious you become about what’s happening in your mouth. As a result, you may feel more and more concerned (and possibly more hesitant or embarrassed about scheduling a visit). Set these feelings aside – remember that we will be glad to see you regardless of your current oral health status. Dr. Kalpesh Patel and the talented staff at Active Dental believe when you live healthy, you smile healthy, and we make every patient feel as though they are family. We want you to look forward to visiting our office. In addition to the highly-personalized treatment we provide, our office is also packed with amenities (like Netflix during your treatment!) and is designed with a strong focus on patient comfort. To schedule an appointment with Dr. Patel call us at 972-534-6024. We also proudly welcome patients who come from Coppell, Valley Ranch, Las Colinas, Irving, and all surrounding communities.